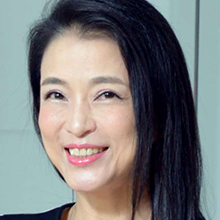 Alice H. Chang is the CEO of Perfect Corp., the developer of the award-winning YouCam apps, where she leads the team in building the world’s top mobile beauty AR platform. Chang is one of the first visionaries at the intersection of tech and beauty. She brought her extensive and highly successful experience in technology into this venture, merging high-tech virtual and mobile platforms with her passion for makeup and beauty. Chang’s vision came to life through the creation of Perfect Corp., a suite of AR and AI beauty apps that includes the award-winning YouCam Makeup, YouCam Perfect, YouCam Nails and YouCam Fun. Leveraging her success in technology, she’s been able to upend and entirely recreate the experience of shopping for beauty products connecting the online and offline retail environments. She drew inspiration for the YouCam augmented reality apps from her own needs and frustrations as a beauty lover, particularly the process of learning about new products and trying on makeup looks in a quick, efficient, and clean integrated beauty journey. Chang’s vision is to empower the consumer beauty journey through product discovery, trial, social live stream sharing and purchasing. Chang holds an MBA from UCLA.